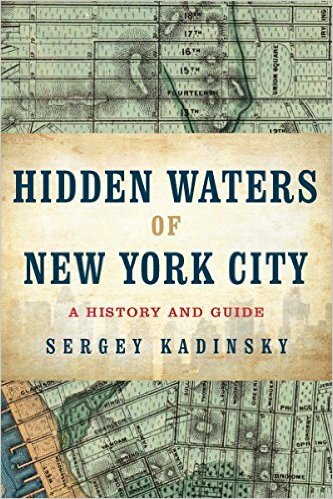 When researching cities with hidden waterways, most have examples that were forced underground in the 19th and 20th centuries. In the western French city of Bordeaux, there are two hidden streams that haven’t seen daylight in centuries. Above is a map of Bordeaux drafted shortly before the French Revolution. Two rivers are seen flowing towards it. The Peugue in dark blue and the Devèze in aqua. At the city’s edge, they disappear beneath the streets on their way to the Garonne River. Among the great cities of the world is the French capital, built around two isles on the Seine River, expanded over the centuries in concentric circles and enhanced with canals. Its parks contain naturalistic decorative lakes but beneath the neighborhood and on the routes of certain streams are traces of ancient waterways lost to history.